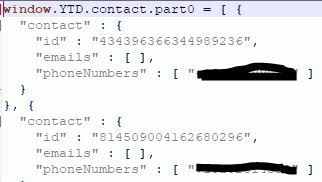 Upon running the script, which took less than 4 minutes, data is parsed and outputted to the user specified output SQLite3 database. 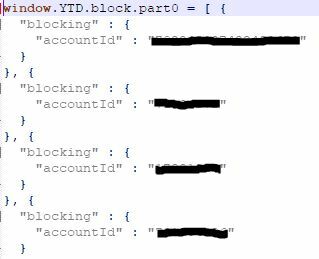 Run time of the script is impacted by the number of account IDs needed to be requested and the general content size of the account. 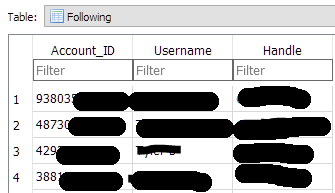 This is due to the fact no account usernames or handles are recorded in this archive, only numeric account IDs. this can be overcome by one of two ways: implement the Twitter API, or make HTTP requests to Twitter. For this script, I used HTTP requests. To lessen the amount of HTTPs requests needed to be made, a dictionary is made with the account ID as the key, and username + handle as the values. 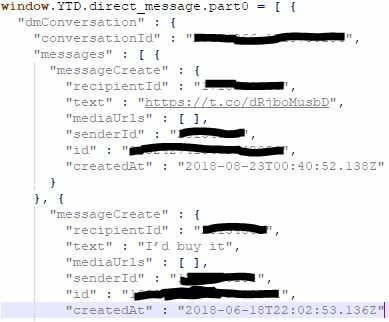 Each time an account ID is parsed, the script checks the dictionary to see if it is a known account ID with an already parsed out username + handle, if so, no HTTPS request is made, and if not, an HTTPS request is made, then data appended to the dictionary. This method lessened run time by over 500% on my personal Twitter archive. If you’re interested, download it here. 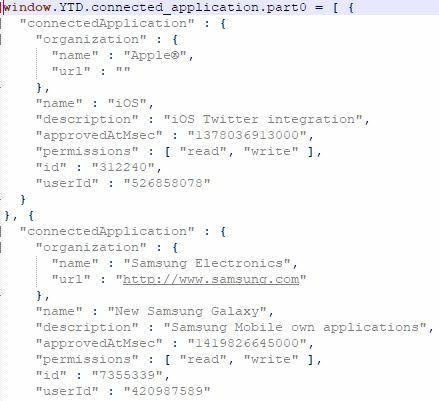 Contains data from connected-application.js which shows what apps were given permission to use the user accounts data. This has less functionality than Axioms, where its able to tell an investigator which Tweet was sent by what device. Contains data from followers.js & following.js which has account IDs for all users that follow the user in question. This data can be used by investigators to see who the suspect was potentially able to be in contact with. 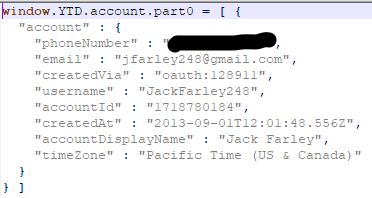 This contains data from ip-audit.js and is parsed into account ID, username, and handle of the suspect user, and more importantly, the IP address used to login for that specific Twitter session, and the date at which it occurred This is very interesting information, as with the public IP address of each session, it is possible to determine general location data with the IP address as well. Many more artifacts reside in this archive, however, I just wanted a working script that can be able to obtain more artifacts than Axiom’s pull. More features are planned to be released with more optimizations. 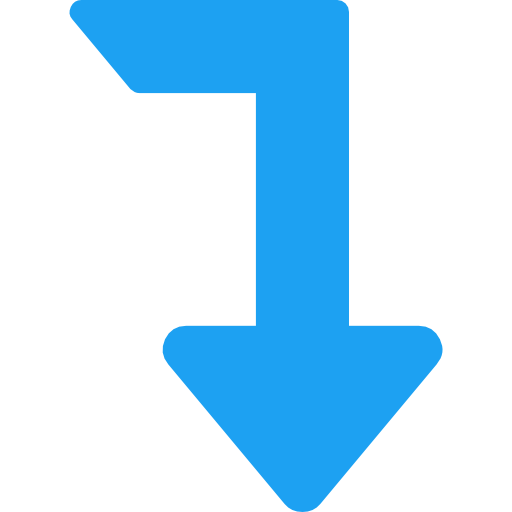 More info about the twitter-archive-parser can be found on my GitHub Repo.